Available on Apple or Android. 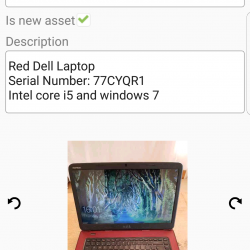 After purchasing the Asset List, you will recieve an email with an access code which allows you to register to the uWatch System. Follow the instructions on how to register and on completion you will recieve an additional email explaining how to use the Asset List, Inventory list, the Bulletin board and the Dodgy Gear App. Feel confident you have done your best to protect your possessions and by using the uWatch System you can keep an eye out for your things and help others to protect theirs.